Last blog, we discussed lone worker policy. In relation, lone worker protection is one of the biggest areas within lone worker management. Review – why should businesses care about lone worker protection? 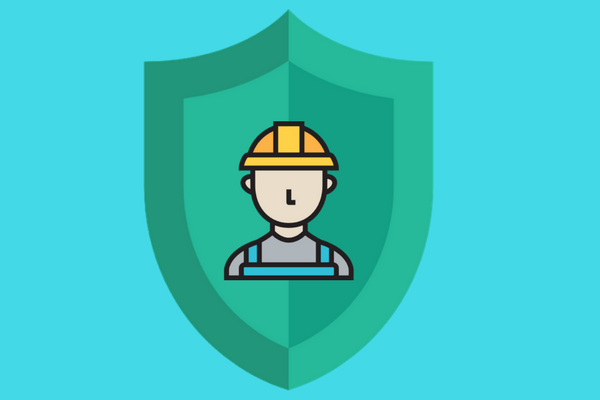 Businesses are responsible for lone worker protection because employers and employees are linked through a duty of care. Accordingly, employers are responsible for preventing workplace injuries. In fact, in places like the UK, there is a legal term called corporate manslaughter. In the UK, businesses can be found guilty of manslaughter and face significant fines and public backlash. 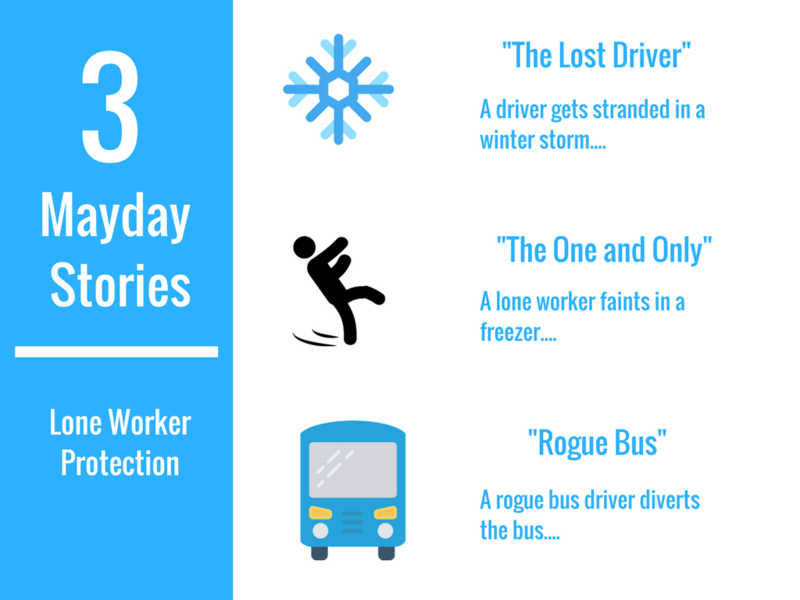 Let’s take a look at lone worker protection with a “Mayday” format. “Mayday” is a popular Discovery Channel show that recounts an accident, explores the root causes, and recommends a solution. Matthew Woodland is a truck driver that was stranded on the road last winter. Fortunately, his truck had enough fuel to keep him warm overnight. He even downloaded Netflix movies as entertainment! He summarizes his experience as “it could have been worse”. However, around him, he noticed that there were other stranded drivers. That’s when he thought about the other drivers. What if they did not have enough fuel to warm up? How did they manage thirst, hunger, or medical prescriptions? Not all drivers are as lucky as Matthew. A lot of drivers get lost or stranded, sometimes in remote areas. Businesses have a duty of care to stranded drivers because they are working on company time. Companies are responsible for keeping drivers safe on the road, including helping stranded lone drivers. Satellite tracking provides good lone worker protection for remote drivers. For instance, if a driver was stranded in a snowstorm and needed medical attention, they can be located with satellite tracking. Emergency crews can pinpoint the vehicle’s location and provide assistance. Recently, a freezer warehouse had a close call. They had a lone worker onsite – he was the one and only staff member. One day, the employee fainted on the floor. Fortunately, he was wearing enough clothing layers and someone found him rather quickly. The employee recovered. Some jobs only require a lone worker. The challenge, however, is to balance the savings of having a single worker with the risk of emergencies. After all, a business has duty of care to protect lone workers from emergencies. Some businesses use man down systems to protect employees from emergencies. Man down systems track employees, detect falls, and calls an emergency queue. In this scenario, the business would have immediately detected the fall and send helpers to the freezer. Last year, a bus driver went rogue. After dropping off her morning passengers, she took the bus off course. The company didn’t realize that they had a missing bus until they received passenger complaints. The bus was later found 140 miles away from its route with its engine on fire. The business failed to monitor its workers. The interesting thing was the bussing company used a tracking service. However, the trackers frequently malfunctioned to the point where office staff ignored alerts. Instead of just relying on vehicle tracking, many bussing companies use live streaming cameras. If those cameras were used in this situation, the office staff would have noticed that the bus was in unfamiliar routes! 1) “The Lost Driver”. Lone Defender has a built-in GPS! Lost drivers can report their exact location to be rescued. 2) “The One and Only”. Lone Defender also has a built-in accident detector. The system triggers an alert if an employee falls or stays motionless. What is GIS Mapping Software & Who Uses Them?